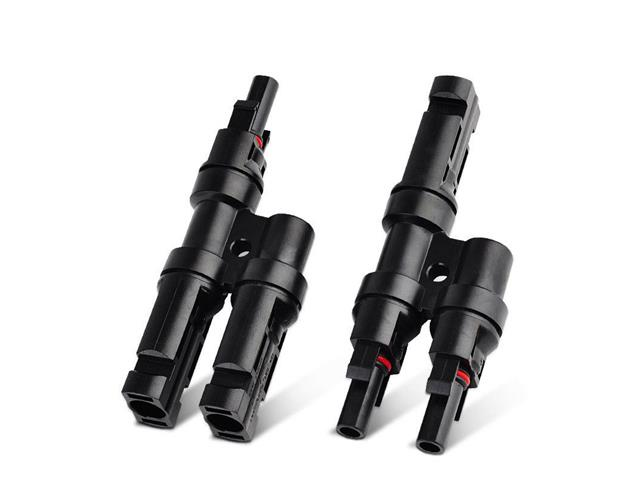 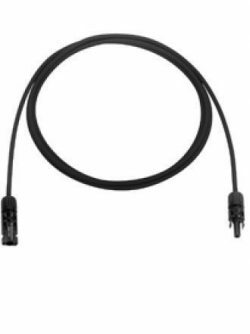 MC4 connectors are single-contact electrical connectors commonly used for connecting solar panels. MC4 stands for the manufacturer Multi-Contact and a 4 mm or 6mm contact assembly pin. 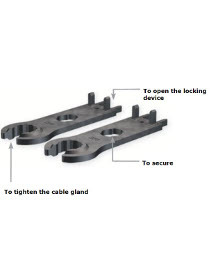 MC4s allow strings of panels to be easily constructed by pushing the connectors from adjacent panels together by hand, but require a tool to disconnect them to ensure they do not accidentally disconnect when the cables are pulled. 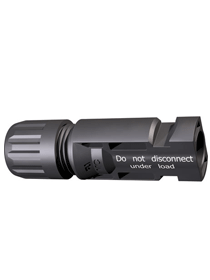 The original MC4 connector has been installed over 1 billion times worldwide reaching an installed production capacity of over 100 GW.